Karnataka State Road Transport Corporation Officials released the KSRTC Security Guard Recruitment 2018 Notification, on 12th June 2018. And in that, they clearly mentioned about hiring eligible, people for the available 200 Vacancies. Now, these vacancies are for Security Guard Positions. Now, all those people who are interested in doing government job can make use of this chance. Starting from 20th June 2018, the KSRTC Officials are going to accept the filled application forms. Therefore, in the meanwhile, we ask all the people who are interested to apply for the KSRTC Recruitment 2018, to check the requirements which are essential, as of on time of applying. Accordingly, the final date to submit the filled KSRTC Security Guard Application form is 16th July 2018. Well, down in this particular, post, we are providing the Set of steps. By following which an individual can make registration easily. Please check them. Apart from that direct notification link is also listed. So, as mentioned, with an intention of hiring 200 Security Guards, the officials of the Karnataka State Road Transport Corporation officials released this new KSRTC Security Guard Recruitment 2018 Advertisement. And we want to clear the things for the aspirants. Try to check each and every qualification and requirement, before applying. As the officials of the KSRTC will not consider your application form if you miss anything. Basing on the information we gathered from the official site, an individual need to first check the Requirement of Educational Qualification. And that is primary. According, to the data, an individual can apply for the KSRTC Security Guard Recruitment 2018, if they Passed PUC from any recognized institute or Organization in India. And Ex-Serviceman Second Class Army Certificate or employee of Navy or Air Force are also eligible to apply. Try to check the KSRTC Advertisement 2018, before submitting the application. Along with the Educational Qualification, we also push the contenders, to check the other details too. So, that they can have an overall idea regarding, what is important to have while applying for the KSRTC Security Guard Openings 2018. We suggest all the people, to find the information we listed down. And that too in the form of the table. And that is going to help all the contenders, to get familiarized with the data. Therefore, without skipping try to check the information we are providing in this particular post. well, in the table, an aspirant can find data about the Organization Name, Name of the Vacant position along with a number of positions available in total. And you can also check the data like the Starting Date, Closing Date, and the Exam date too. Apart from all these, an individual can also find the mention of the official site too. Therefore, whenever, the candidates, are having doubts regarding the KSRTC Security Guard Recruitment 2018, can go over there, to find more details. Well, here in this section, we are providing the Post-Wise Vacancy details. And all the contenders can check that, for more information. As of on date of applying, the candidates will have to check whether they are having correct Qualification or not. According to the information in the advertisement, an individual need to finish his PUC from any recognized institute or Organization in India. And the Ex-Serviceman Second Class Army Certificate or employee of Navy or Air Force are also eligible, to submit the application form. Before anything, try to check the data, given in the KSRTC Notification 2018 Security Guard. A contender should also check the age limit along with the educational qualification too. Now, having the correct age is mandatory. Therefore, try to check about Age Limit. The Minimum Age of the Candidates can be 18 years. While the Maximum age can be 30 Years. Remember that there is age relaxation available. Now, kindly go through the official site or the official KSRTC Notification, to find out about the Age limit and Age Relaxation clearly. The ultimate objective of conducting the Selection process for the KSRTC Security Guard Recruitment 2018, is to hire the efficient people. And for that purpose, the officials of the Karnataka State Road Transport Corporation are going to conduct some recruitment rounds. And this includes the Written Examination follows by the interview. Apart from that, there are no other rounds. Therefore, prepare well for the Test. Candidates have to remember that, they need to pay Application Fee for the organization in order to submit their application form. Then only the officials are going to consider the application form. Accordingly, an individual from the General Category is requested to pay Rs. 800 as the application fee. While the Reserved Category people need to pay Rs.600 as the fee. kindly check the advertisement twice before making the payment. Well, for all the selected candidates, the officials of the Karnataka State Road Transport Corporation Limited are going to pay a good salary. As per the information in the advertisement, an individual will get Pay between Rs.11,640/- to Rs. 15,700/- Per Month. There is Grade Pay too. Check the steps we are providing here in this section. And this is going to help many people. Therefore, check them. Visit the official site of the Karnataka State Road Transport Corporation Limited at www.ksrtc.in. 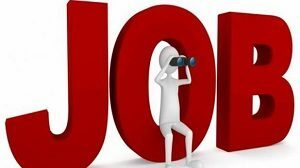 There look for the KSRTC Security Guard Recruitment 2018 Notification For 200 Vacancies. Now, we hope that the total information discussed in this post about the KSRTC Security Guard Recruitment 2018 Notification For 200 Vacancies, is useful for the people. Get more such details about other Sarkari Naukri by following our site closely.